Below are some of my co-authored art books. From the pages of great literature to Hollywood movies, zombies are appearing everywhere. 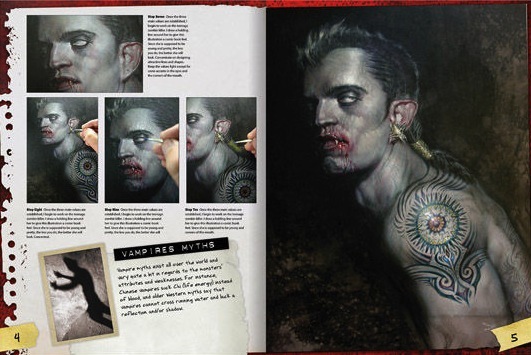 Now you can learn how to draw and paint gory, realistic-looking zombies with this step-by-step art instruction book. This comprehensive guide gets into all the gory details, such as rendering bloodshot eyes, forming robust brows, and painting rotting dead flesh. 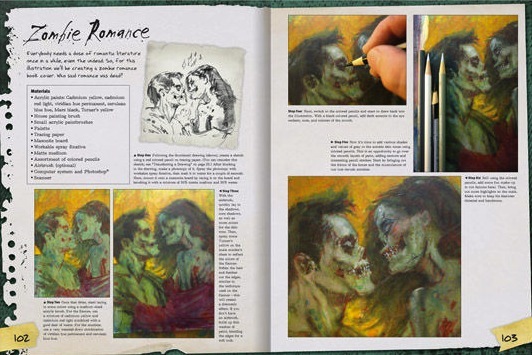 How to Draw Zombies also features 15 step-by-step projects that guide artists from initial sketches to finished works of art, including a Voodoo Queen, a gothic zombie, and even a zombie romance. • Learn how to draw, paint, and digitally illustrate images of the living dead. • Find out about zombie history and interesting zombie "facts" as you learn how to draw and paint ghoulish, gothic, and gross zombies. • You can buy this book HERE. Over the years, vampires have earned a permanent place in pop culture. Numerous movies, TV shows, and book series have only increased the demand for these mythological beings. 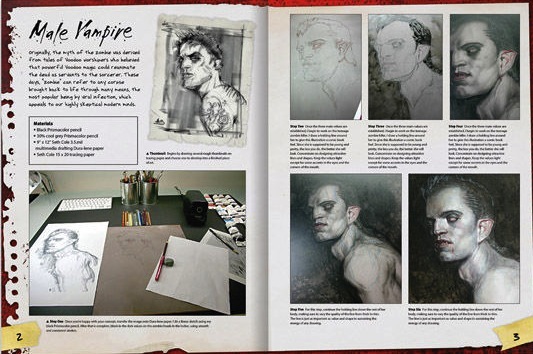 And now anyone can learn to draw and paint gothic vampires with this in-depth handbook. How to Draw Vampires covers everything from drawing sharp, blood-drenched fangs and glowing eyes to painting ghoulish, pale skin. 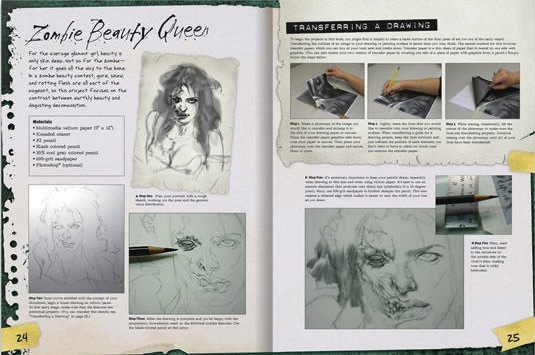 The book also contains 10 step-by-step projects featuring a mix of pencil, paint, and digital image-editing instruction, allowing artists to replicate each horror scene in graphic detail. Evil vampires, handsome vampires, gothic lairs, and the forbidden love between human and vampire merely scratch the surface of subjects covered. • Discover the secrets to drawing and painting the immmortals of different genres including Victorian, punk, and Gothic vampires. • You can purchase this book HERE. How to Draw Magical, Monstrous & Mythological Creatures is for you if you dream about the magical, mystical, and darker side of things. 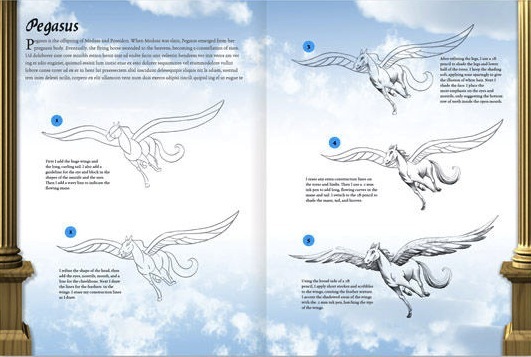 Starting with an introduction to various drawing tools and techniques, the goth-inspired book in the new Walter Foster Studio series for tweens will have you learning to draw you favorite fantasy creatures, mythological beasts, and monsters. From a warrior and a dragon to Medusa and the Bogeyman, you will find inspiration on every page. This fantasy drawing book delves into the world of monsters and mythological creatures with character history, folklore, legends, fun facts, and trivia. 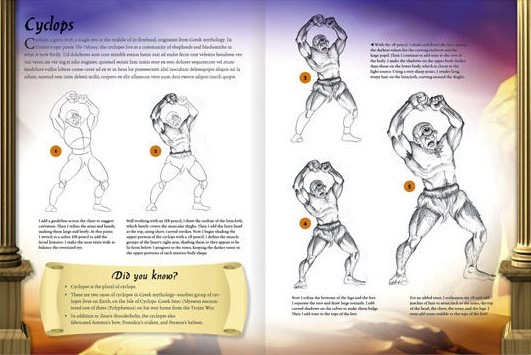 • Teaches basic drawing techniques and color theory in addition to other valuable lessons in art. • Features fun facts, legends, trivia, and step-by-step drawing projects just for tweens.